After taking a break from our blog, Ido Productions is back – with underwater weddings in Mauritius! If you’ve ever dreamed about getting wed in clear turquoise waters, with breathtaking reefs surrounding you as you and your love give your vows, this is definitely the wedding for you. 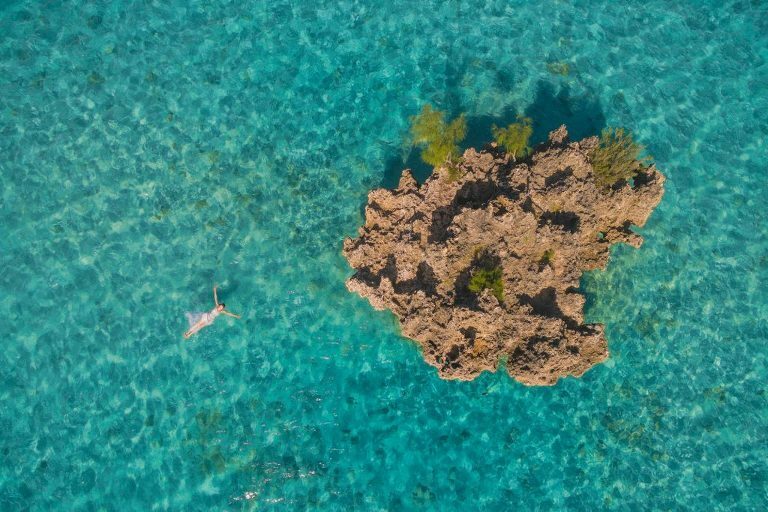 Read on to find out why they’re wondrous and how couples can have underwater weddings in Mauritius. Why do couples choose an underwater wedding? 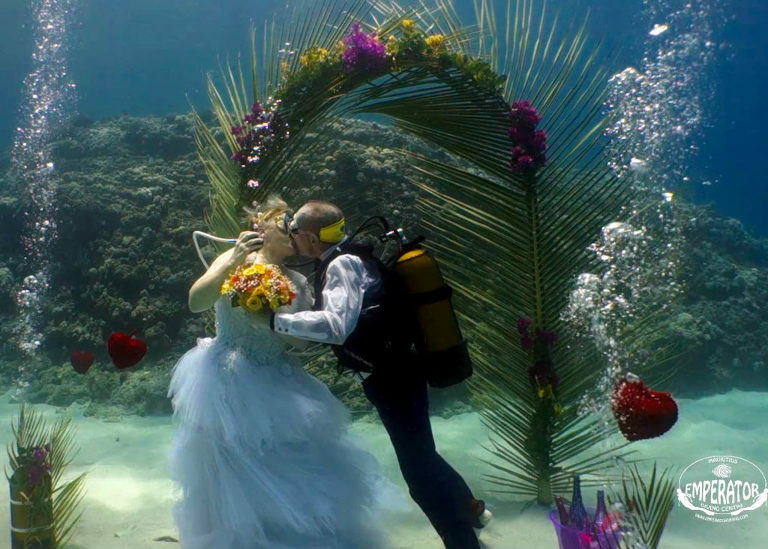 In Mauritius, there are several reasons for exchanging your vows underwater. A sense of adventure and celebrating your special day in a unique way is the most common, but diving couples and ocean lovers are also embracing this new wedding trend. It’s also cost-effective, if you compare it to a large and traditional wedding. An underwater wedding can cost as little as $3,000 (not including site-specific processing and marriage licensing fees). What about your wedding dress, tux and reception? *Tips for brides: Try to choose a dress that wears well in seawater, if you want to keep your wedding dress – fabrics like silk and satin can be destroyed. Also long veils, gloves or lengthy trains aren’t going to work underwater. What will you need for an underwater wedding in Mauritius? The easiest way to organize your underwater wedding is by contacting a specialized local company or agency. They’ll let you know all of the details to ensure you’ve got your paperwork in order; you’ll need to plan on several extra days for scuba lessons (and practicing that romantic ‘I do’ kiss! ); and the required safety lessons. If you’re planning on inviting guests, you could have 2 options: the first is guests using snorkeling gear and life jackets, in the water with you but watching the ceremony from above. Guests that are experienced divers can be witnesses underwater. The second is a reception party on the boat or back on shore. That could also be where you take your ‘official vows.’ Don’t forget, an underwater wedding is symbolic, not legal. You might even want to get married at your hotel or on the boat and then ‘re-wed’ in the sea. Be sure to tell your guests there’s plenty to explore on Mauritius, both before and after your wedding. That’s the end of our underwater weddings in Mauritius list of what you need to know! We hope this has been useful, but if you have any questions don’t hesitate to contact us or write us in the comments below!